To sign up to volunteer, click here. You’ll be prompted to sign up on our online Shiftboard account. Through this, we will update you on opportunities to volunteer as they come up. Note that it will take up to 24 hours to review and process applications. All volunteers are required to attend a volunteer orientation or arrive 45 minutes before their first shift for a briefing. Questions regarding volunteering? Contact Festival Volunteer Coordinators, Kao Vang at kao@pacarts.org. 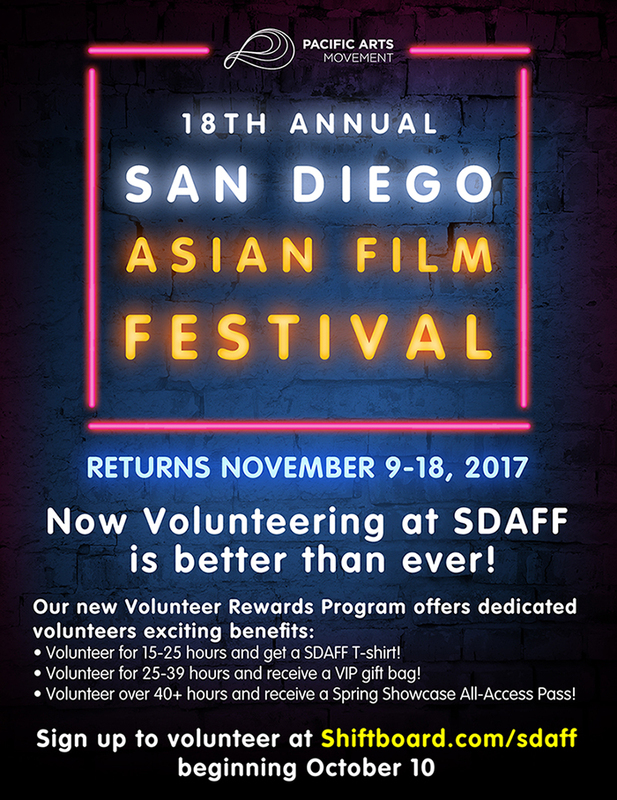 If you’re interested in getting even more involved and becoming a team lead or core festival staff, please e-mail operations director Glenn Heath at glenn@pacarts.org or call us at 619.400.5911.